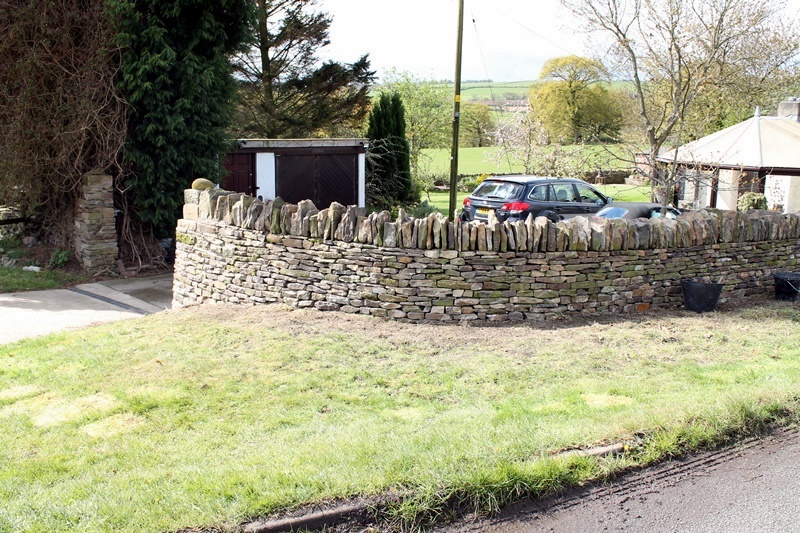 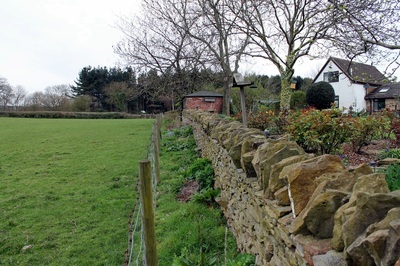 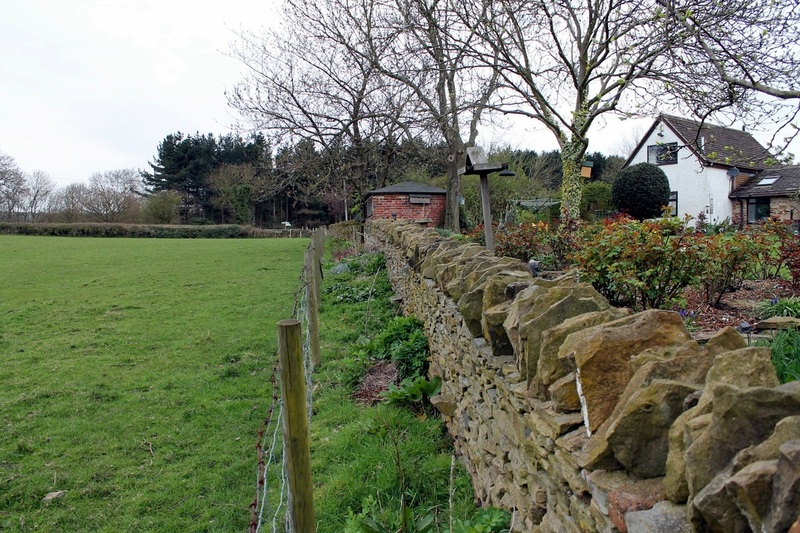 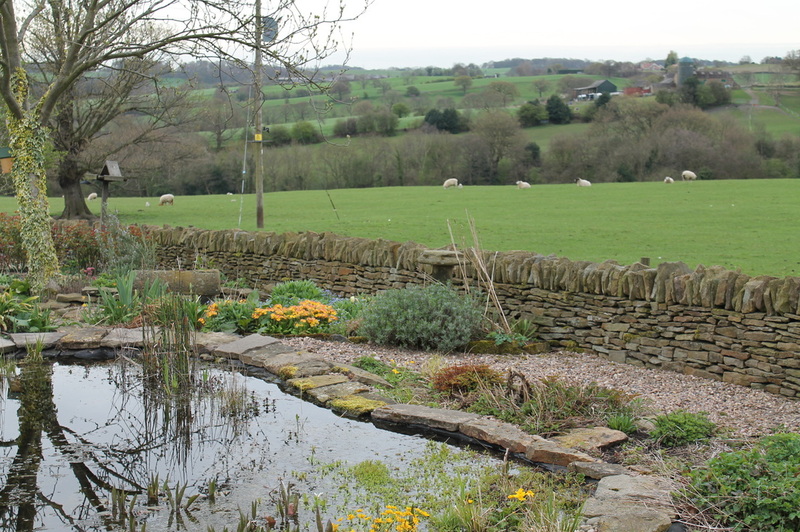 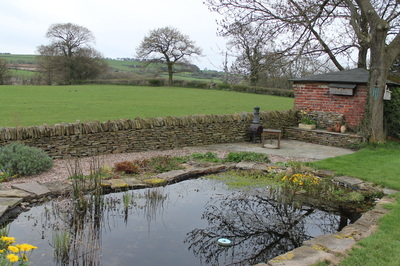 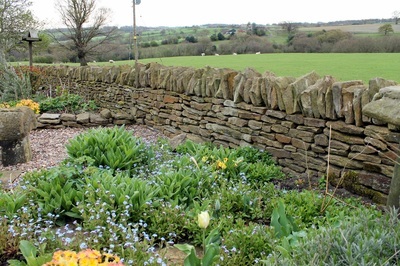 This rural garden has a charming old boundary wall encircling it. 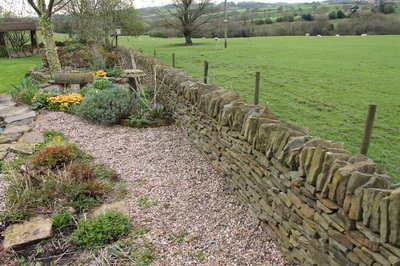 However much of the wall became tired and run down. 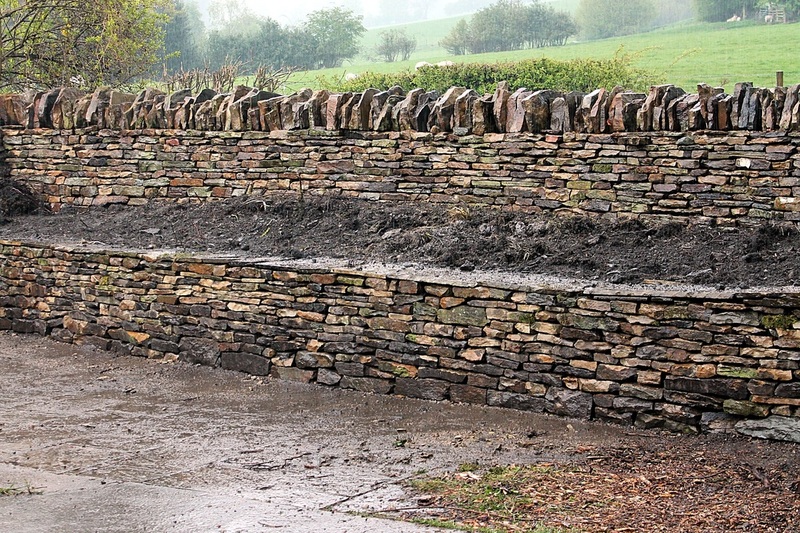 Over the years we have worked to restore key sections to its former glory. Now the wall provides a wonderful framework for the surrounding views and garden planting. 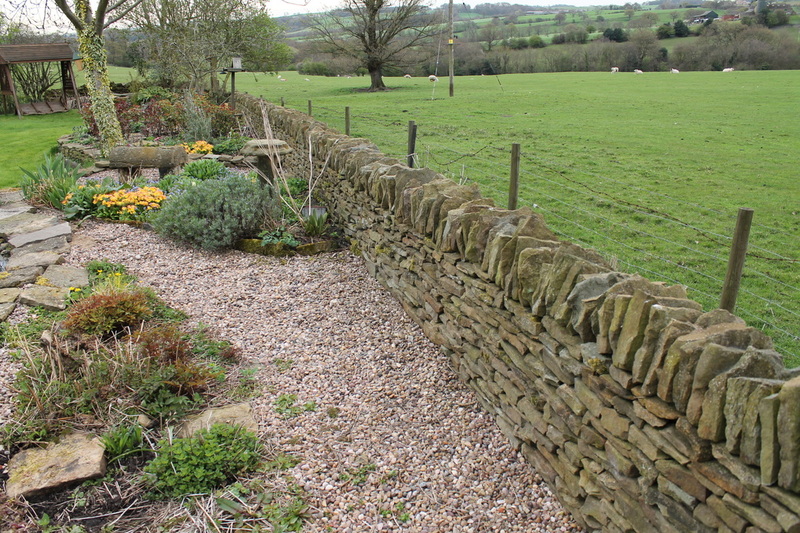 The stone used is all from the site. 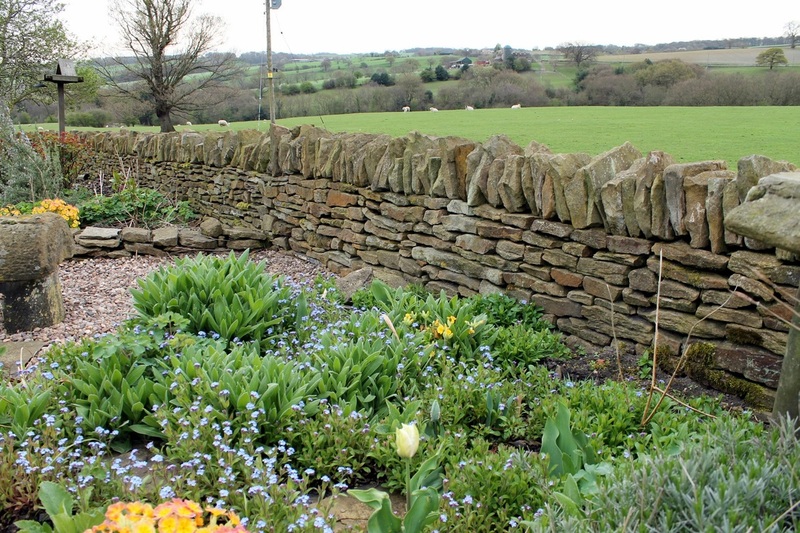 The cope stones which top the wall are particularly random on this wall giving charm and character. 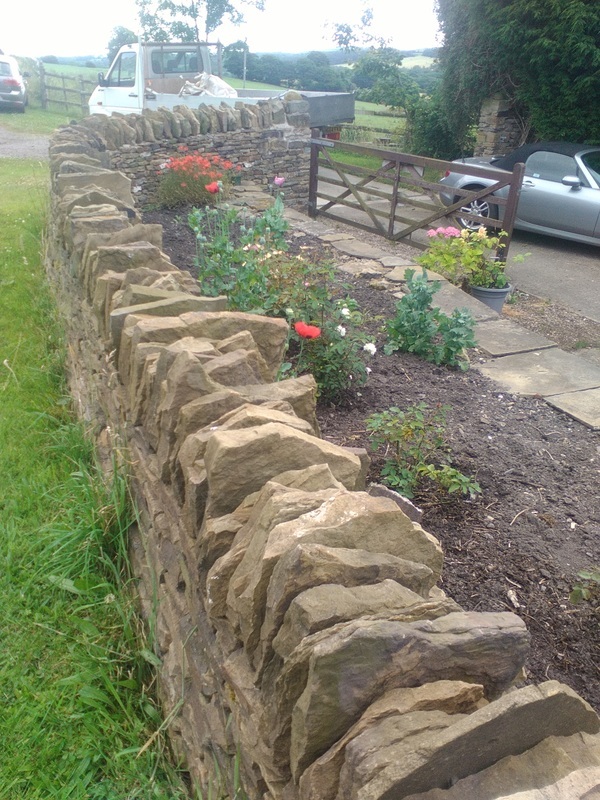 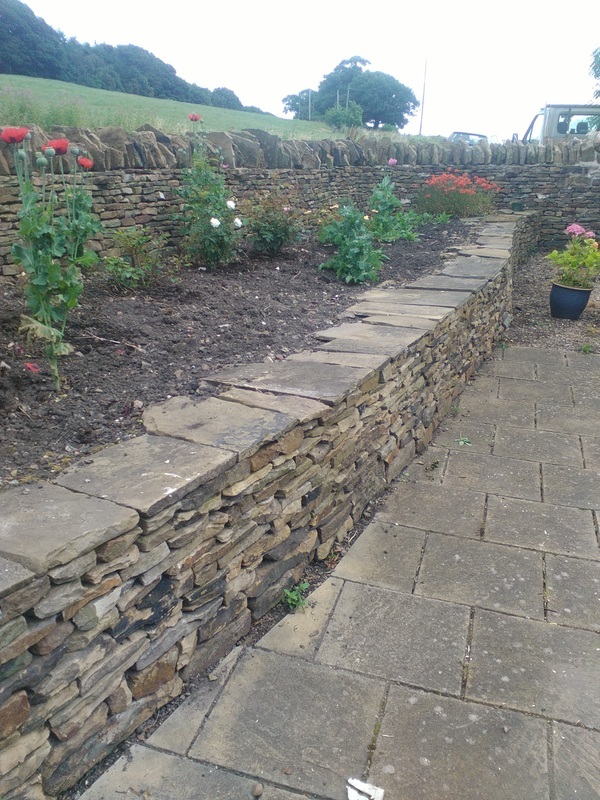 We also created an extra flower bed for the garden by restoring a low retaining wall by the gate that could be dug over and gave more garden. 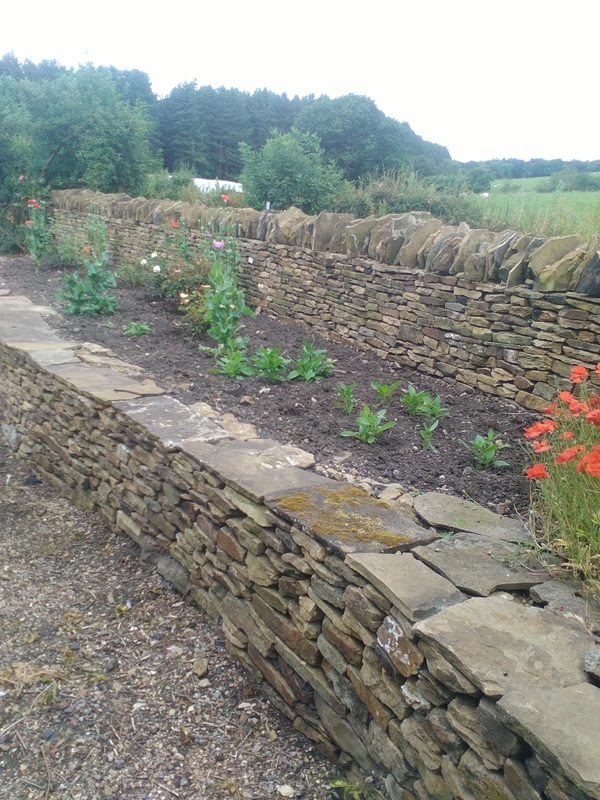 The toppers for the retaining wall were old stone roofing tiles. Revisiting the garden, the owners have dug over and planted up the terraced planting bed with poppies and roses, which has enhanced the front part of their garden.